A 16″ x 20″ oil painting on canvas of two farm cats near the door at an old farmhouse. 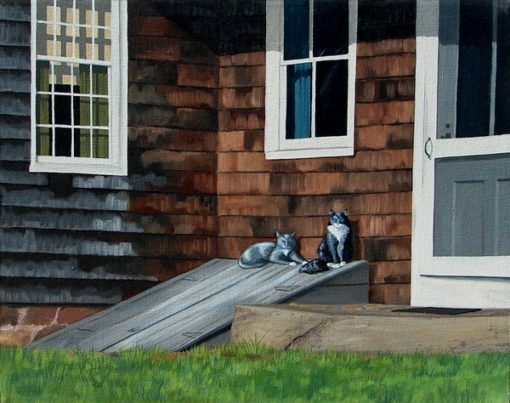 The wood texture and the windows on this farmhouse are a nice backdrop for the two farm cats waiting near the door. 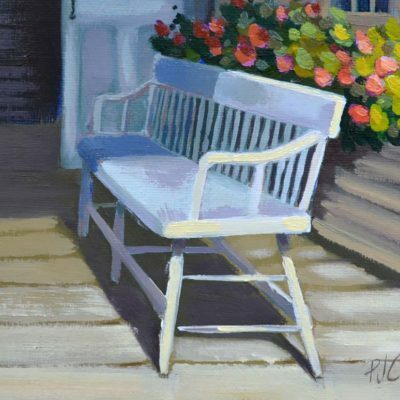 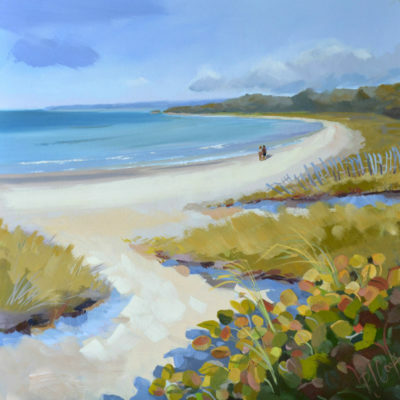 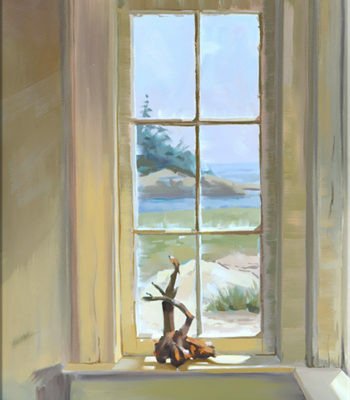 Painting comes with a rich dark wood frame that complements the colors in this oil.